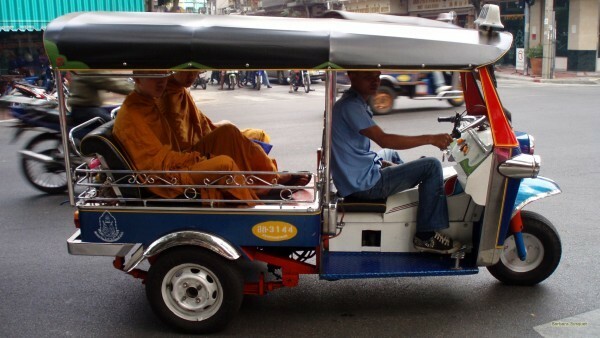 Wallpaper with two monks in a tuk-tuk in Thailand. A tuk-tuk has three wheels. To download this tuk-tuk wallpaper, click on it and save it in the new screen.